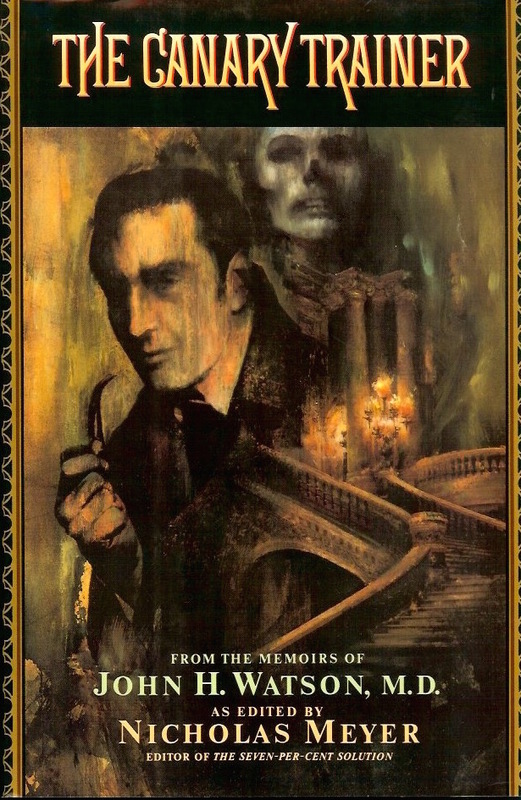 Nicholas Meyer's third original Holmes novel finds Sherlock at the Paris Opera House tangling with a familiar Phantom. Located by a computer in the bowels of a major university where it had collected dust for over half a century, this missing manuscript by the biographer of Sherlock Holmes reveals for the first time a hitherto unknown episode in the life of the Great Detective. Holmes, master sleuth, was also an accomplished violinist. Following his discharge from therapy with Sigmund Freud (see The Seven-Per-Cent Solution), we now learn that he journeyed to Paris and there found employment as a pit musician at the Paris Opera. The year is 1891, Paris is the capital of the western world, and its opera house is full of surprises. First and by no means least is the sudden reappearance of the great love of Holmes's life, an accomplished singer from Hoboken, New Jersey. Second is the series of seemingly bizarre accidents—each more sinister than the last—allegedly arranged by the "Opera Ghost, " an opponent who goes by many names and is more than equal to Holmes. Alone in a strange and spectacular city, with none of his normal resources, Holmes is commissioned to protect a vulnerable young soprano, whose beautiful voice obsesses a creature no one believes is real, but whose jealousy is lethal. In this dazzling, long-awaited sequel to The Seven-Per-Cent Solution, the detective pits wits against a musical maniac, and we are treated to an adventure unlike any other in the archives of Sherlock Holmes. Publisher: W.W. Nortin & Co.